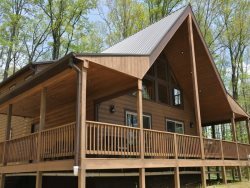 Beautiful cabin, amazing view and great getaway from Florida. We did some day hikes but the highlight was coming back to the cabin and cooking dinner and relaxing after a solid day of hiking. The hot tub was amazing. Thank you for creating such a great spot. We loved the bear painting. The cabin couldn't be decorated any better.